I am delighted to be making a new artwork at the Dock on Saturday as part of National Drawing Day. It will combine two major parts of my practice as an artist: working with members of the public and drawing on a very large scale outside in public spaces. 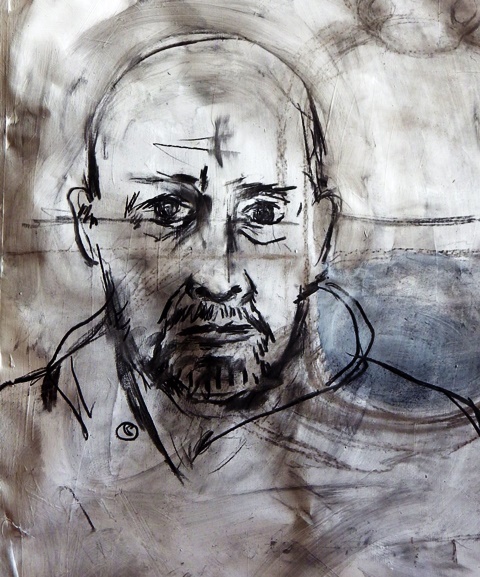 The work will be created on a specially made 7 foot square free-standing drawing board in the foyer of The Dock, and I will be asking anyone who comes into the gallery to sit for an informal 10-15 minute portrait session. Each new portrait will be added to the giant drawing and by the end of the day I am hoping to have a unique ‘group portrait’. The drawing will take place from 11 to 1 and then from 2-4 and the event is free. Also at the Dock on Saturday as part of National Drawing Day artists Vanya Lambrecht-Ward and Hugh McGettigan will be working on drawings and displaying their work.